When it comes to the supply and demand of housing in Las Vegas, there’s currently a game of tug-of-war. Earlier this year, Realtor.com released a report crowning Las Vegas as the #1 real estate market in the country for 2018 based on affordability, home appreciation and the strength of the local economy and job growth. In short, the report ranked the top ten cities where people actually want to live, and Las Vegas came out on top. Considering how far the city has come since the mid-2000 recession, this is both a huge change and remarkable point of pride for the Entertainment Capital of the World. But when you have more homebuyers on the market than home inventory, competition grows and so does the urgency to lock in that dream home before someone else claims it. In January, the valley’s local Fox affiliate, KVVU Fox 5 Vegas, covered the recently published industry report and spoke with Chris Bishop, president of the Greater Las Vegas Association of Realtors (GLVAR). He pointed out that homes are flying off the market, and why it’s a great time to buy a home here. “People are back to work, they’re spending money, the economy here is fantastic, the nightlife is great, and everywhere you go in Southern Nevada, there is development happening,” he said. But while it’s good news for real estate, it means it’s time for potential homebuyers to put on their game faces. A more recent report from Home Builders Research revealed there were 704 new home recorded sales in January, which is the most home closings in a single month in the last decade. According to Andrew Smith, the spurt in sales is likely caused by rising mortgage rates. If you’re a homebuyer, you have to be speedy like Speedy Gonzales if you’re ever going to have a fighting chance of securing the home of your dreams. “Conventional mortgage rates are sitting around 4.5 percent but most of the signals are suggesting additional upward movement,” Smith said in a recent Las Vegas Review-Journal interview. It’s important to note that while sales have been exceptionally strong, a slow-down has occurred in recent weeks, a correlation which Smith believes is a result of supply and demand. Naturally, the more affordable homes – those priced under $300,000 – are nearly nonexistent and as those homes continue to be sold, it’s causing many homebuyers to push their price range higher. So what does that mean for you if you’re on the market for a new home? Do your industry homework and recognize the longer you wait to buy, the less affordable your home is going to be and the more scarce the inventory. While existing home listings have plunged drastically over the past year, there are still some real gems out there – you just have to go hunting for it and put a stake in it immediately. Stories abound in the market right now of buyers who make application for homes as soon as they see them, only to be displaced by other buyers who previously staked their claim. David Berson, chief economist for Nationwide Insurance, recently contributed to an Associated Press story proving that demand is still rock solid. And although supply is decreasing with a rise in demand, buyers seem surprisingly undeterred. “The demand for new homes should continue to rise with a solid job market, modestly accelerating wages and positive demographics,” he told the news source. So if you’re looking for a new home, expand your horizons by looking beyond the single-family residence and exploring high-rise living as an option. “Juhl and The Ogden in downtown Las Vegas and One Las Vegas located south on Las Vegas Blvd. 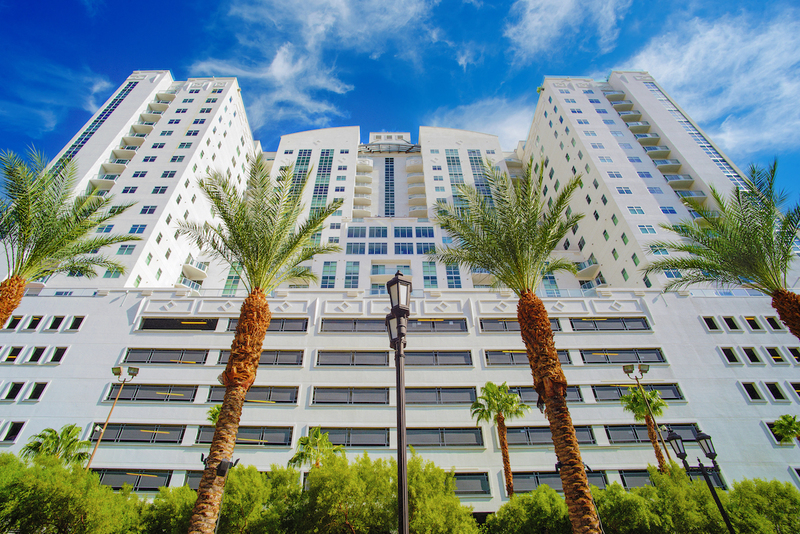 are iconic high-rise towers that offer first-class amenities and a rich lifestyle,” said Uri Vaknin, a partner at KRE Capital LLC, whose company, in partnership with Dune Real Estate Partners, purchased multiple residential properties in 2013 as DK Las Vegas. “Best of all, we offer superior financing options that make home ownership possible,” he said.